Self-trained street dancer and bboy, Joe Danny Aurélien, alias Bboy Dingo, started his career completely autonomously in 1996 through his breakdance practice. Joe is a member of the annual event Who's Hungry that won multiple breakdance competitions, such as the King of the Ring competition organized by RedBull in 2005 and 2006. Joe was introduced to urban dances in 2002 and collaborated with contemporary choreographers such as Jean Léger (Opéra de Montréal, Aidi 2005), Helen Simard and JoDess Allen, Emily Honegger and Geneviève Gagné, and Ismaël Mouaraki. A graduate of the École de danse contemporaine de Montréal (2005), Audrey Bergeron has performed in numerous Montreal-based projects including: Loops by Ismaël Mouaraki (Destins Croisés), Vieux Thomas et la petite fée and L’Atelier by Hélène Langevin (Bouge de là), and Jabbarnack, La couleur du gris and Rue Fable, by renowned physical theater company, Omnibus. She was a member and team captain in the Montreal-based, improv-movement league, Les Imprudanses. She was a member of internationally renowned company O Vertigo Danse, with whom she toured extensively between 2013 and 2016. Recently, she was part of a tour in Netherlands with Tierra, a production from Jens van Daele’s Burning Bridges in collaboration with Ginette Laurin. 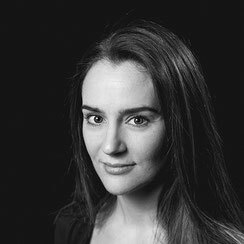 As a choreographer, Audrey Bergeron has been presented by Tangente in Danses Buissonnières, been included in festivals (Quartiers Danses, Bouge d'ici, Zone Homa and Vue sur la Relève), and been commissioned by the École de danse contemporaine de Montréal to create on their students. Her recent work, Pixels (2015), was presented in Montreal, Toronto, Düsseldorf and Avignon, and Through the eye of the needle (January 2016) was presented by Danse-Cité at the Cinquième Salle of the Place des Arts. Her most recent choreography, Verso (April 2016), is the result of a creation residency offered by Scenario Pubblico located in Catania (Italy). She has participated in a number of videodance creations that have been featured in numerous international events. 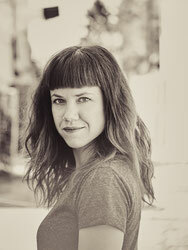 In addition to performing, Audrey Bergeron teaches dance and acts as a rehearsal rehearsal. 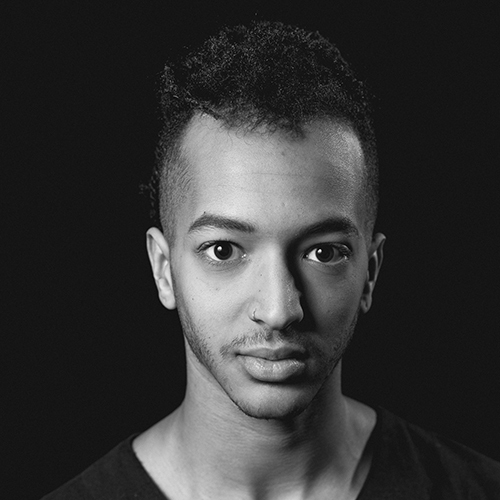 Originally from the island of New Caledonia, Charles Brecard started dancing at the age of 15. He began with "street dance". Seeking to develop his artistic vocabulary, he learned different style: Krump, Bboying, Popping, Locking, Hip Hop, Folkloric Kanak Dance and finally contemporary dance. Self-taught, he worked for two years with several local dance companies which gave him the opportunity to train as a professional performer and learn the reality of the dance milieu. 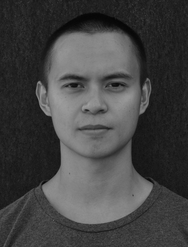 He arrived in Quebec (Canada) in 2013, at first to study massage therapy, and pursued his training at the Ecole de Danse Contemporaine de Montréal. 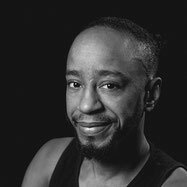 He worked with both established and emerging choreographers such as Helen Blackburn, Parts+Labour_Danse, Deborah Dunn, Alan Lake, Sam Coren, Jason Martin and Marie Chouinard. He is now working with the companies Code Universel, Dansencorps, and Destins Croisés in their new creations, while still training with international teachers to perfect his art. His cultural background allows him to have versatility in his approach of dance in a kinesthetic and reflexive way. Jossua has been practicing urban dances since 2007. His practice began with Rockwell Family. In 2011, the crew was awarded Champion in Canada with a choreography by Stéphane Charbonneau, and also represented Canada in the international hip-hop championship in Las Vegas. Jossua graduated from the École de danse contemporaine de Montréal, with a large range of aesthetics, styles, and technique. He dances in Une idée sinon vraie, a solo by Marc Boivin, in Estelle Clareton's piece S'envoler, as well as in the original creation Sëlekt by Jacques Poulin-Denis. Félix is introduced to classical ballet and urban daces at the age of ten years old. He continues his training in secondary school, he discovers different styles such as tap dancing, Simonson jazz, modern dance. He graduated from the École de danse contemporaine de Montréal, in 2013. 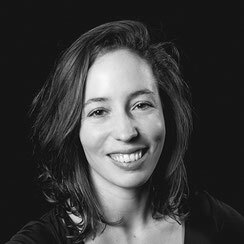 Dancer, teacher, and choreographer, Geneviève Gagné graduated from the Université du Québec à Montréal (UQAM) in 2005. She collaborates as a freelance dancer with Destins Croisés, Les Imprudanses, Human Playground - Milan Gervais, Ample.man Danse, Victor Quijada, Cirque Éloize, Solid State, Lucie Grégoire, Normand Marcy, Marie Béland, and Sasha Kleinplatz. In 2007, she created Action/Inversion. That same year, she kickstarted a creative choreographic partnership FloorRider&Tonik with Emily Honegger, a fusion of contemporary and urban dances. From this collaboration were created Lancer du nain, Alter-ego, Free, Fluid, Feminine, Foreign One, and Densité d'un moment. 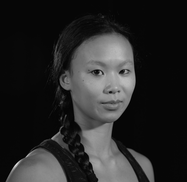 Bailey Eng‘s current movement practices stem from contemporary dance, breaking, parkour, contortion, and Chinese pole. She graduated from Concordia University with a BFA in Contemporary Dance, after having studied at L’Ecole Nationale de Cirque and York University. She has done several performances that have allowed her to incorporate dance, circus, and parkour, including works with Andréane Leclerc, Jeff Hall, Compagnie WXWS, La Marche du Crabe, and Les Minutes Complètement Cirque. In addition to being a performer, she is also an emerging choreographer and a coach of acrobatics and dance. 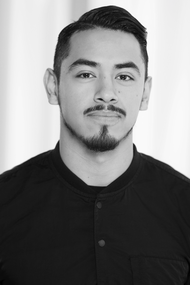 José Flores graduated from the École de Danse Contemporaine de Montréal (Québec, Canada) in 2017. As part of his training, he was able to work with different choreographers and professional dance compagnies such as Parts+ Labour_Danse, Sam Coren, Caroline Laurin-Beaucage, Darryl Tracy, Hélène Blackburn and her company Cas Public, and many others. After his studies, he worked in the show "Saturday Night Fever" that was presented in the Capitol (Quebec) during the summer 2017. In this production, he worked with French stage director Stéphane Jarny, and shared the stage with Nicolas Archambault, main character in the show. He is now looking forward to continue his training in hip hop and contemporary dance in order to share his passion and skills he developed since he started dancing. 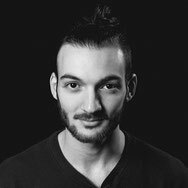 José has a passion for the dancing movement, and want to keep exploring dance in its complexity in Quebec but also internationally, especially in Europe.